Honestly, sometimes there's just no avoiding the persistent annoyances that come with wearing certain clothes. Wardrobe malfunctions run rampant, and they're one of those facts of life that we've gotten used to living with, as each new season brings its own array of potentially devastating sartorial failures. The season for adorable satin dresses, pretty tights, and cute booties is upon us. Which means that it also happens to be the season of static cling, ripped tights, and stained suede. But that doesn't always have to be the case. While some wardrobe malfunctions are all but unavoidable, there are others we've learned to carefully dodge. 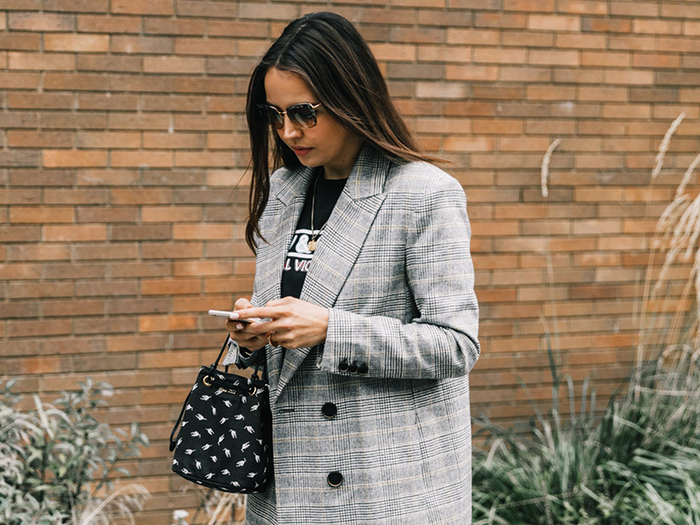 Read on to find out the tips our editors are sharing to avoid some of their most annoying wardrobe malfunctions this winter. "Static cling is a significant struggle in the winter, so after one too many unfortunate incidents with it, I realized that throwing a few dryer sheets in your bag is essential when it's cold out. There are other remedies like lotion and aerosol hair spray, but a dryer sheet is the most effective in my experience." "One lesson I learned the hard way was that the winter weather isn't kind to suede or leather boots. After ruining one of my favorite pairs of shoes, I always make sure to spray any new boots with Scotchgard before wearing them. While it doesn't completely weatherproof your footwear, it definitely makes a big difference in protecting them." "To avoid taking my gloves on and off in the winter every time I want to check my phone, I wear mittens that have the fold-over feature like the below. " "When it gets cold, I feel like as much as I want to wear jeans, they're not great at keeping me warm. Enter Uniqlo's HeatTech leggings. Wear them under pants, and you're guaranteed to be plenty cozy." "Whenever I get a new pair of ankle boots for fall and winter, I wear thick socks around the house to break them in and avoid blisters." "If you have the unfortunate luck of getting a rip in your tights this winter, dab on a bit of clear nail polish to halt the material from ripping any further." Go on to shop our favorite picks for the holiday season ahead. Ready to get started on your holiday shopping? Your first stop should be our ultimate gift guide, from A to Z.